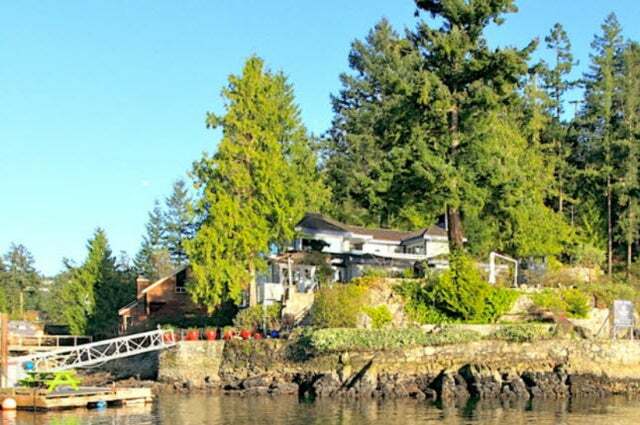 Located north of Sechelt in desirable Secret Cove, this handsome 2600 sqft 3 bedroom executive home is set on a bright level-0.36 acre lot with-92' of medium bank waterfront. Exterior highlights include a sturdy 10'x30' shared dock protected by a private breakwater, exposed aggregate and stamped concrete paths and stairs, a two bay garage/workshop and an enclosed ocean side sundeck. Coffered ceilings, extensive trim work, and two fireplaces round out the craftsman quality interior. Enjoy panoramic views from the sunken family room, entertain friends in the formal living room or walk the dog to Smugglers Cove Marine Park. Call today to schedule a private showing.